With grabs and rotations that defy the laws of physics as well as a deep-seated respect for the history of the sport, few other skiers have as much fun on the mountain as Vincent Garnier; probably why he is always smiling. Quebec’s Gagnier family is well known in freeskiing circles. Oldest Brother Antoine was a pioneer in the early days of the newschool movement, experimenting with radically different styles of grabbing and grinding; some of the tricks he invented in the early 2000’s wouldn’t become popular until over a decade later. Middle child Charles brought the style pioneered by Antoine to the top of the competition scene—memorably beating Tanner Hall to win gold in the 2005 X Games slopestyle contest. Now it’s Antoine and Charles’ younger brother Vincent’s turn to get his share of the skiing spotlight, his chance to represent the family’s unmistakable style on the sport’s biggest stages. Like his brothers before him, Vinnie Cash, as he’s known to his friends, skis in a way that sets him apart from his peers—a breath of fresh air in a climate where tricks are increasingly becoming standardized. Whether it’s an unconventional grab, an unseen rotation or just clicking into his bindings backwards for fun, Vincent Gagnier always has something new to bring to the table. I hear you’re quite the sports fan. What are your favorite teams? For football the San Diego Chargers. Hockey, the Quebec Nordiques and the Montreal Canadiens. For basketball, the Cleveland Cavaliers and the Toronto Raptors. Your entire family has a unique style of skiing. Where’d it come from? It’s all Antoine. He started it all. Then Charles followed Antoine and set his own mark, and I followed Charles and set my own mark. But Antoine is the true number one. 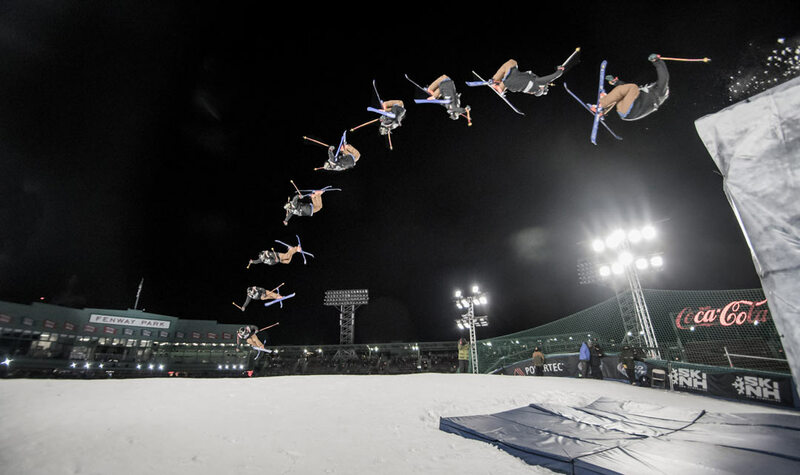 Your approach to contests challenges judges to appreciate unconventional tricks. Is that the way to keep the format fresh? It’s up to the judges, but it’s mostly the skiers that have to put more work into every trick they do, and not just always do the same thing. There’s no point in doing a trick that’s already been done, in my book. Skiers should try to be different from their teammates and not listen to the coach all the time. What’s the secret to adding a crazy grab like a dub genie (screamin’ seamen, grabbing both skis) into a big rotation? The trick is to do the small rotations: start with the 7, the 9. Then in the contests, that’s when you send it and go for the bigger trick. When you have to go, you have to go. It’s easier if you grab than if you don’t grab. I don’t get why more people haven’t tried the dub genie. I don’t think it’s that hard. You can’t get your skis stuck with your other leg straightened out. Your attitude towards contests seems more laid-back than other competitor’s. What’s your mindset going into a contest? You can’t take it too seriously. You’ve just gotta have fun, take it easy and don’t think too far ahead. Just be in the moment and get into a good zone. A lot of kids are out there hucking triples these days. What’s going on with big air progression? Coaches. Blowing it. The kids too, they’re blowing it. They skip stages. They don’t understand. It takes time. You can’t just huck yourself. It works for some people, but I’m not like that. 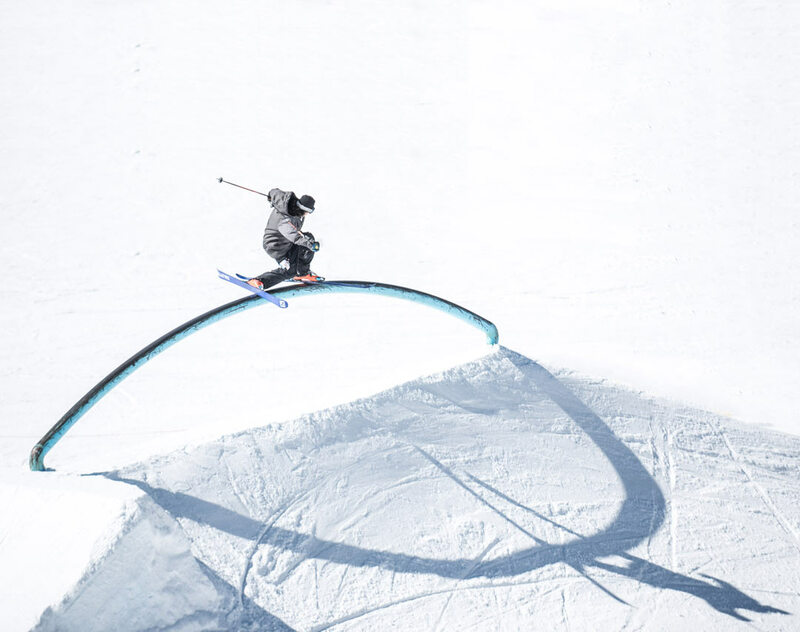 How have coaches and national teams changed the big air scene? The coaches have been there for a couple of years now, so there’s nothing new there. What I’ve seen so far, is if you do a triple cork 1440 safety, then you score a 90. It doesn’t have to be anything special as long as you can do the trick. So that’s what the kids want to do to make it. It’s probably not the best way to get onto the scene, to be honest. 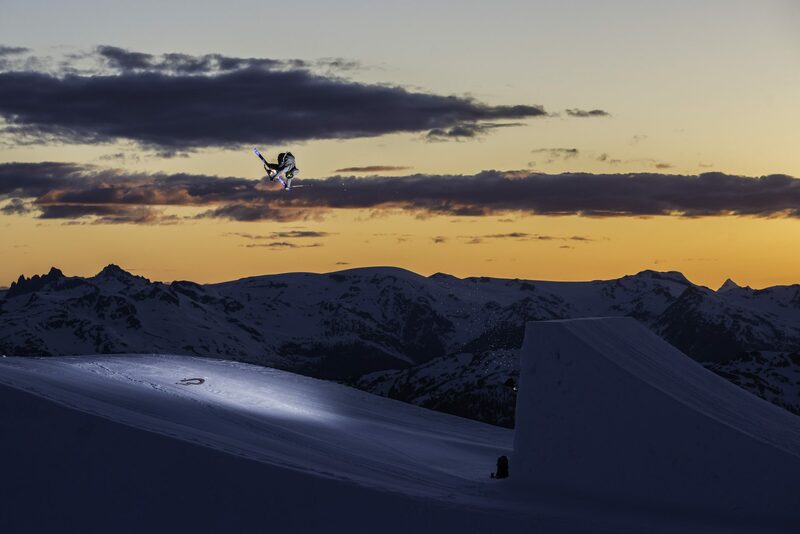 Should big air skiers be more creative? I think that’s a better way. I would like to see new tricks. 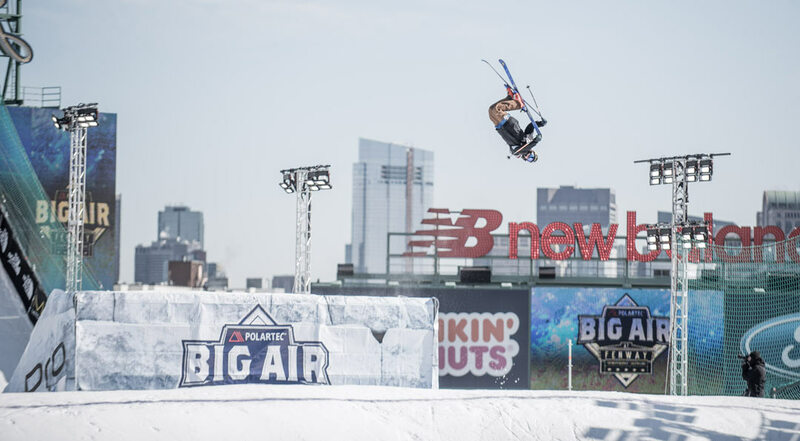 Skiers shouldn’t do the same tricks at all of the contests every year. It’s whack to see a skier always do the same thing to get points. You’ve got to up yourself every time. But it’s scary and dangerous, so I don’t blame anyone.